Last Shows of the Season! You haven't seen this show before! For our 10 year anniversary, the animals have new things to show you. While there will be some fan favorites like having the owl fly inches from your head, new behaviors, new information, and some new animals will thrill you, captivate you and inspire you. So join us for a fun-filled educational wildlife show, This show is one that you won’t soon forget. We have our very own legendary creature. Take a closer look at the Bigfoot phenomenon in Northern California. 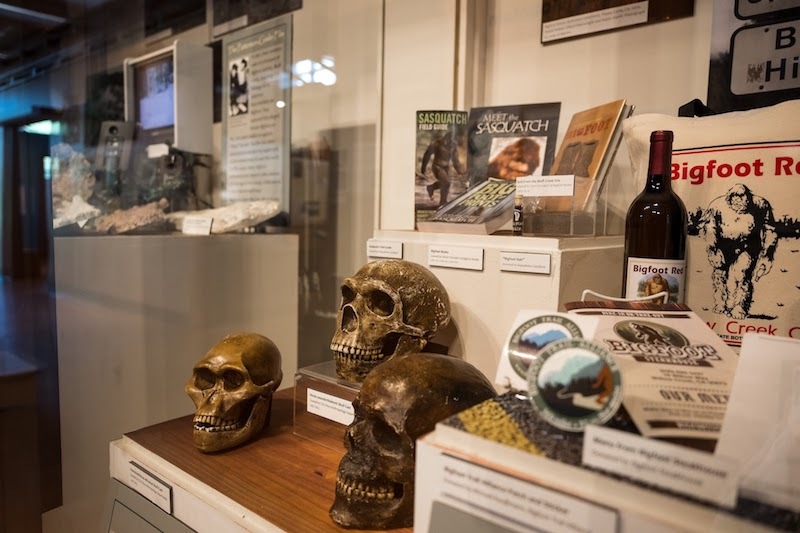 Investigate the evidence, see casts of suspected tracks, learn about sightings, and delve into how Bigfoot has become part of our local identity. Have you ever wondered where these fantastic beings come from? This immersive, hands-on exhibition from the American Museum of Natural History explores the amazing origins of our favorite beasts of the land, air, and water through lifelike models, touchable fossils, real objects, and personal accounts from around the world. From narwhals to unicorns and manatees to mermaids, discover the physical and cultural connections between the real and mythical worlds. Oh, and you can build your own dragon. Just don't let it loose in the museum! With major support from Dennis & Sherrill Bambauer; Dr. Pam Ikuta & Don Burton; and Dutch Bros. Coffee – The Resner Family.